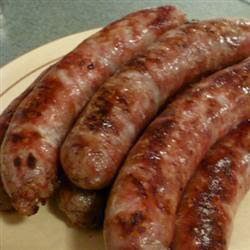 This recipe is for 10 brats – adjust accordingly. Preheat an outdoor grill for medium-high heat. When hot, lightly oil grate. Combine the beer and onions in a large pot; bring to a boil. 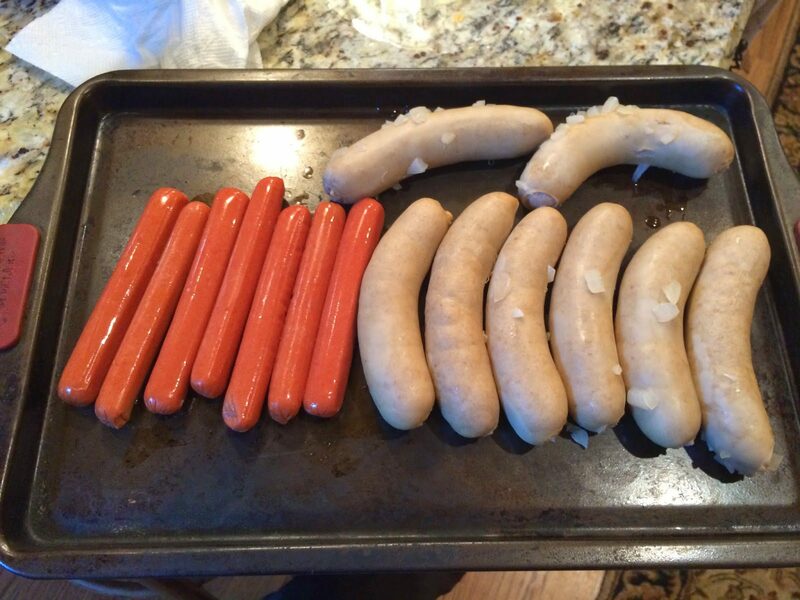 Submerge the bratwurst in the beer; add the red pepper flakes, garlic powder, salt, and pepper. Reduce heat to medium and cook another 10 to 12 minutes. 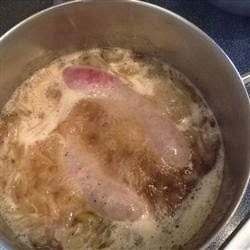 Remove the bratwurst from the beer mixture; reduce heat to low, and continue cooking the onions. Then, cook the bratwurst on the preheated grill, turning once, 5 to 10 minutes. Serve with or without buns and sauerkraut and mustard.